Luis is a committee member for the Private Client group 2019 with extensive international business experience. Luis, born in Curacao in 1970, is the founder and managing director of the XCM Group. XCM Group consisting of InfoCapital, XCM, XCM Funds and CX Pay offers financial services and advise in the broad sense, ranging from advisory & management to fiduciary and corporate services, fund management and payments solutions. On an executive level, Luis is a board member of Travelsure Insurance Company (TIC) and Manrique Capriles International as well as the chairman of the board of Curacao Investment & Export Development Foundation (CINEX). He extensive experience in the international financial sector, having occupied positions of Managing Director of the South American International Bank (SAIB) and CEO of the Dutch Caribbean Securities Exchange (DCSX). Furthermore, Luis was a board member of the International Bankers Association (IBA), the Curacao International Financial Services Association (CIFA) and is the former chairman of the Supervisory Board of AMFO and the Dutch Caribbean Nature Alliance (DCNA) as well as former board member of the Algemene Rekenkamer Curacao (Curacao Court of Audit). Prior to his current position, he held several positions with First Caribbean International Bank, Maduro & Curiel’s Bank Private Client Services, MeesPierson and Rabobank International in New York, Amsterdam, Rotterdam, Utrecht and Curaçao. Luis holds a MBA degree in Entrepreneurship & Management and a B.S.B.A. degree in International Business in Finance from the American University in Washington, D.C. Luis is proficient in Dutch, English, Spanish, in addition to Papiamentu. Luis, nacido en Curazao en 1970, es el fundador y director general de infocapital NV. Como profesional de las finanzas, Luis es el director gerente de South American InternationalBank (SAIB) y el director ejecutivo de la Superintendencia de Valores del Caribe Intercambio holandés (DCSX). También es unmiembro del consejo de la Algemene Rekenkamer Curacao (Curacao Tribunal de Cuentas), el presidente de la Comisión de Control de AMFO, y anteriormente ocupó las funciones de director de la Asociación Curacao International Financial Services (CIFA), secretario de la Asociación de Banqueros de Curacao (CBA) y presidente de la Naturaleza del Caribe Holandés Alliance (DCNA). Antes de su cargo actual, Luis ocupó varios cargos con First Caribbean Banco Internacional, Maduro & Curiel del Banco Private Client Services, MeesPierson y Rabobank International en Nueva York, Amsterdam, Rotterdam, Utrecht y Curazao. en estos cargos que fueron especialmente implicados en la gestión de carteras, la riqueza, la gestión, la planificación financiera y la banca privada, la inversión estratégica la comunicación, las inversiones de gestión del conocimiento. A través de su asociación estratégica con 360 Soluciones Luis ofrece capacitación en liderazgoy seminarios de entrenamiento y se ha desempeñado como profesor invitado en la Universidad de las Antillas Holandesas en temas de gestión de la organización. Luis es también el tesorero del la Fundación Willem4. Luis tiene un MBA en Emprendimiento y Gestión y BSBA Licenciado en Negocios Internacionales en Finanzas de la Universidad Americana en Washington, DC Luis es un experto en holandés, Inglés, español, además de papiamento. InfoCapital is a diversified provider of advisory services related to international business solutions and transaction services. With its operations in Curacao, Dutch Caribbean our company is well positioned to serve clients in Asia, Eastern Europe, Latin America and the Caribbean. InfoCapital serves a wide range of clientele ranging from corporate to small business owners and from institutional to individual investors. Our expertise and solutions are found primarily in the areas of Fiduciary Services, International Payment, Merchant Payment Platform, Trade & Transaction Management, e-Commerce solutions, Financial Advisory and Project Management. InfoCapital has a wide variety of local and international clients and cross-border management and transaction experience. Fully committed and dedicated to its clients, the firm provides top-level independent advice and operational support to develop durable and sustainable relationships. We use our local and international network and expertise to support organizations through innovation and new product development and help gain market access to help turn new ideas into business opportunities. As an International Referral member firm we have access to the world’s leading advisory firms. InfoCapital promotes international business by providing services that allow companies and individuals to overcome regulatory, financial and organizational constraints and other barriers to starting and growing successful international businesses. The company delivers high added value financial solutions for complex business and investment matters. We are recognized as a reliable strategic partner that combines the experience and ambition of an international consultancy firm to act as a trusted partner and achieve results above and beyond our clients’ expectations. Having held senior and management positions including board memberships for more than 15 years, InfoCapital can provide management support by assuming execute positions in organizations that are looking for an interim-management solution or a seat on their advisory or supervisory board. InfoCapital has an extensive network in the Caribbean, Latin America, Europe, Asia and the United States. It offers Management and Advisory services to organizations by assisting them in the setup of local operations and connecting with partners, prospects, government officials and other relevant parties on the island of Curacao. InfoCapital offers a broad range of professional financial products and business solutions that includes online banking, multicurrency accounts, SWIFT global payment services, credit cards and escrow services. Through our affiliation with international banks and leading international payment service providers we help provide sustainable alternative solutions for USD correspondent banking services that provide cost saving benefits to clients worldwide and ensure continuity of the company’s service to its clients. ​Through its partnership with Xecutive Corporate Management (XCM), InfoCapital can provide a full range of fiduciary services to Corporate and Private Clients. XCM is an independent and privately owned Fiduciary Services Provider headquartered in Willemstad, Curacao offering a broad range of international tax compliant structure formation and trustee services including local directorships, domiciliation, administrative and other related services. Our suite of services consists of Corporate Services, Private Client, Merchant Payment Platform and Trade & Transaction Management. Tax and legal advisory services are rendered in cooperation with professional firms located strategically in various jurisdictions. Through its partnership with Pacific Atlantic Trade Corp (PATCO), InfoCapital can provide a full range of global trading, procurement and securitization support services. Through our solid global relationships, we provide our expanding network of international customers with an array of products and services that include Physical Commodity Trading services and Payment platform services. PATCO provides its clients with the most appropriate and modern trading solutions available on the market. Executed and coordinated to include all crucial services to achieve a convenient and successful international trade from reputable jurisdictions across the globe. InfoCapital provides fast and reliable e-Commerce offshore merchant services through the CX-Pay payment platform. The company offers specialized services and expertise in online payments, also known as e-commerce transactions, between a website (merchant), cardholder and the acquirer. InfoCapital provides e-Commerce merchants with top notch financial services within the (Dutch) Caribbean and Latin American markets. We maintain the role of intermediary partner between the Payment Service Provider (and its e-Commerce merchants) and the acquiring bank for the opening of a merchant settlement account with an acquiring bank in the Dutch Caribbean or alternative jurisdiction. At InfoCapital, we provide consultancy services designed to resolve organizational performance challenges and support business development. Through our extensive professional network we are able to help optimize business performance, improve customer satisfaction and maximize return on investment. Our corporate services can be taken as high-level retainer consulting, project-based consulting, management assignments as well as fiduciary services. The company’s main focus is as a financial services provider to local and international clients combining local knowledge with extensive international experience. InfoCapital has done assignments such as the management of the Curacao International Financial Services Association (CIFA) and the Dutch Caribbean Securities Exchange (DCSX). InfoCapital currently provides management services to South American International Bank (SAIB) and fulfills executive board positions as well as fiduciary roles for local and international firms. 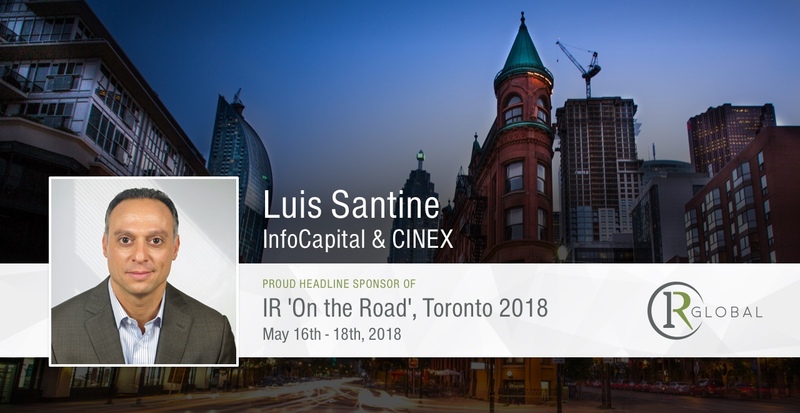 We look forward to discuss with you how InfoCapital can add value to your organization. How else are we able to add value to our client’s corporate services experience ahead of other accountancy firms? What safeguards do you have in place to ensure the quality of the new clients you work for? What part does trust play in our client relationships when it comes to becoming a corporate services partner? How do we help clients manage the balance between regulatory risk and business specific risk in terms of AML? What are some of the key KYC/AML regulations in Curaçao?